Wainscoting Styles – Wainscoting provides the perfect mix of function and style by adorning the lower half of walls while also protecting the wall from scuffs and smudges. This form of wall paneling started back in 1300s primarily as a way to shield the lower half of plaster walls from damage from things like chairs and boots. Today, they make up an important part of interior design, helping add some warmth and style to a space. 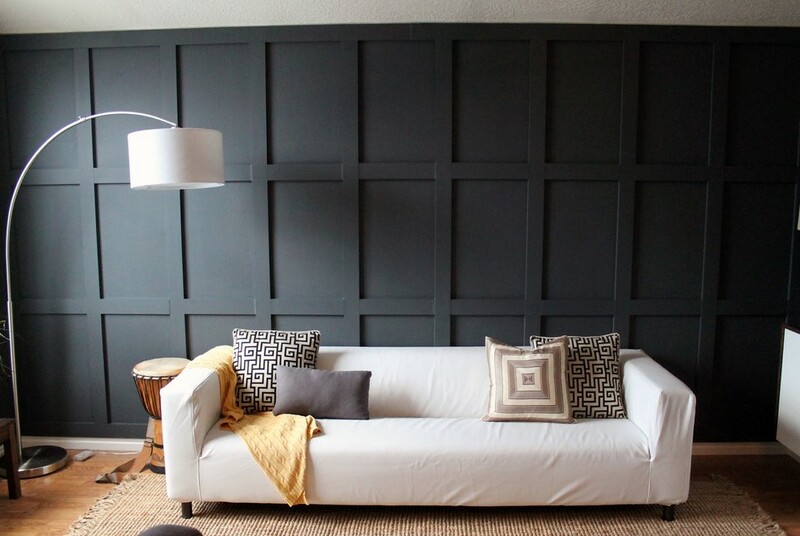 Wainscoting is especially great at styling up bare walls that would otherwise look dull and boring. 1 What Are Wainscoting Panel ? What Are Wainscoting Panel ? 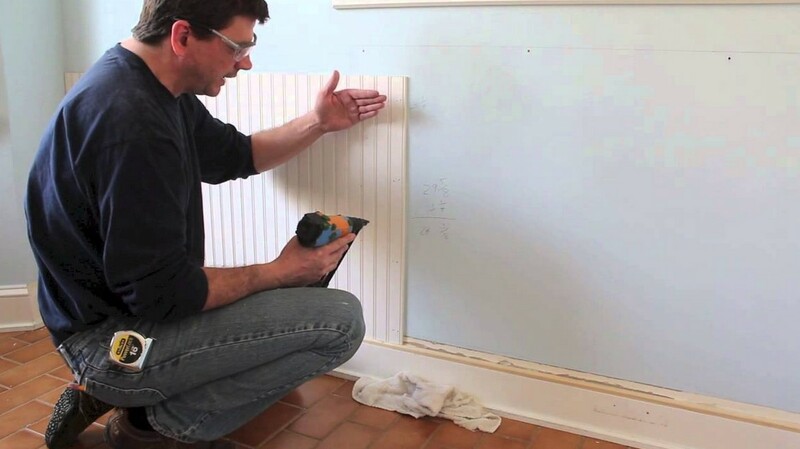 Wainscoting panels are the individual boards used when installing wainscoting. Originally comprised of oak, wainscoting was applied to walls in order to make living areas more hospitable. A particular type of oak, known as wainscot, was used to fashion the paneling. Later, the type of wood used changed due to availability of other woods. Each panel was comprised of a tongue-and-groove board in order to allow easy installation. These panels are usually bevelled or had added moulding around the edges. Between each panel is a narrow vertical piece called a stile. 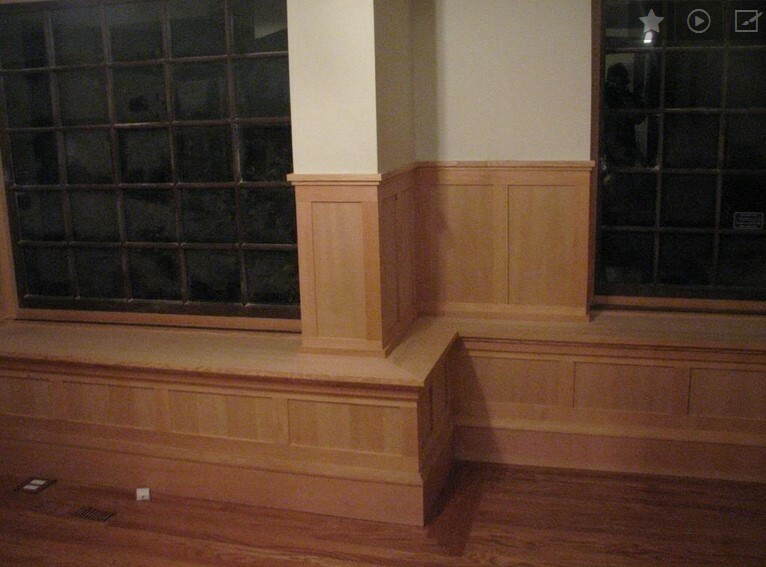 The bottom piece of the wainscoting is known as the rail. Panels are installed either in-front of or behind the stiles and rails. Nowadays, wainscoting panels can be comprised of any number of materials, not just oak. 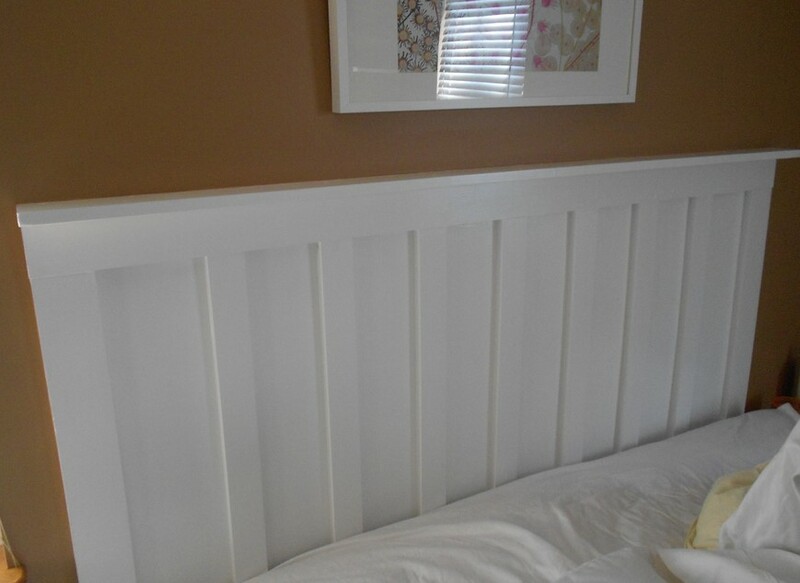 Modern technology has allowed wainscoting panels to be produced in sheets, rather than individual boards. This cuts down on the amount of trouble installing individual boards can cause. One way to protect the walls in your home and add a distinctive extension of your taste is to install wainscoting. The first thing to look at is the style of the home. Contemporary to colonial or anything in between, there is a design that would be a good fit with your existing décor style. The basics of installing wainscoting are fairly similar from one style to another. With a good miter or circular saw and assorted hand tools, the average do-it-yourselfer can add style and charm to any home. The following are examples of wainscoting that might work well in your home. Simply look through and see what inspires you! 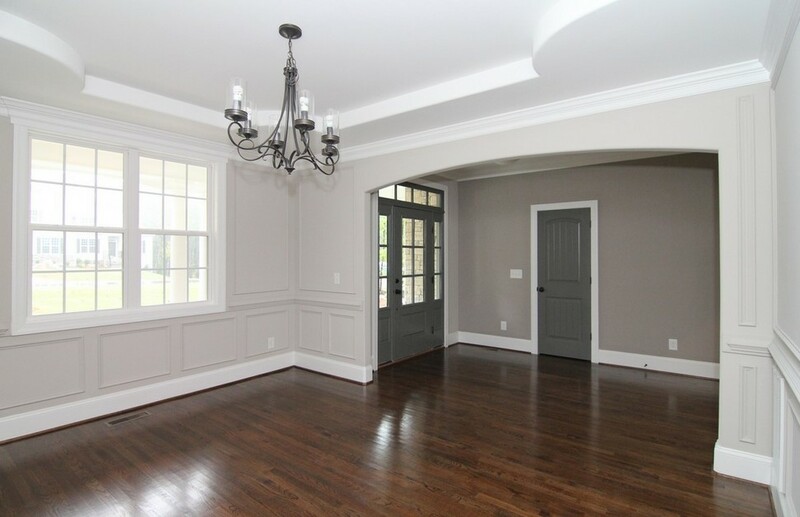 There are five main types of wainscoting panels: Raised Panel, Flat Panel, Beadboard, Overlay, and Board and Batten. Raised panel wainscoting is distinguished by the panels being in front of the styles and rails. The result is that the panels look as if they are raised. Flat panel wainscoting is distinguished by the panels being behind the styles and rails. The look uses boards with no bevelled edges or moulding, causing them to look deeper than the styles and rails. Beadboard wainscoting is made of thin, individual boards placed directly next to each other. Each small board is interlocked with its neighbour via a tongue-and-groove system. Overlay wainscoting is a combination of flat panel and raised panel wainscoting. Flat panels are installed and then additional panels are centered on them. These additional panels are sometimes lined by moulding. Board and batten wainscoting is essentially flat panel wainscoting with vertical boards used to cover seams or styles. 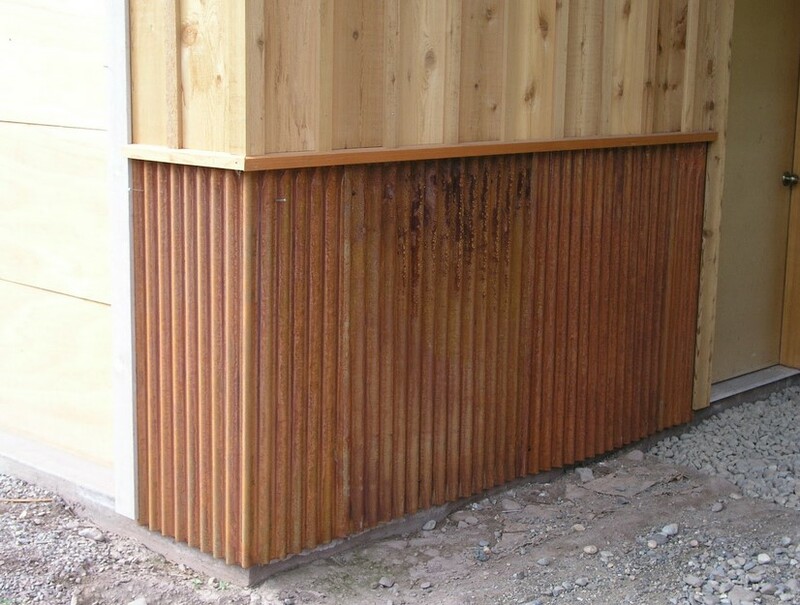 The additional boards are known as battens. Raised panel wainscoting first became popular in 17th century England as a means of insulation. It is the oldest and most common of the wainscoting styles. 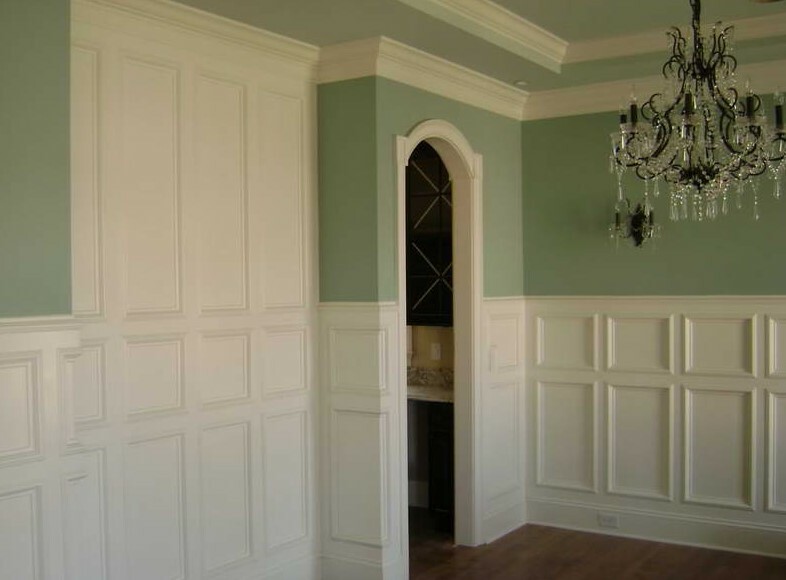 Although most at home in a Colonial or Queen Anne style home, installing raised panel wainscoting adds a sense of timelessness to any room or home. The most popular rooms to use raised panel wainscoting in are the dining room and living room. 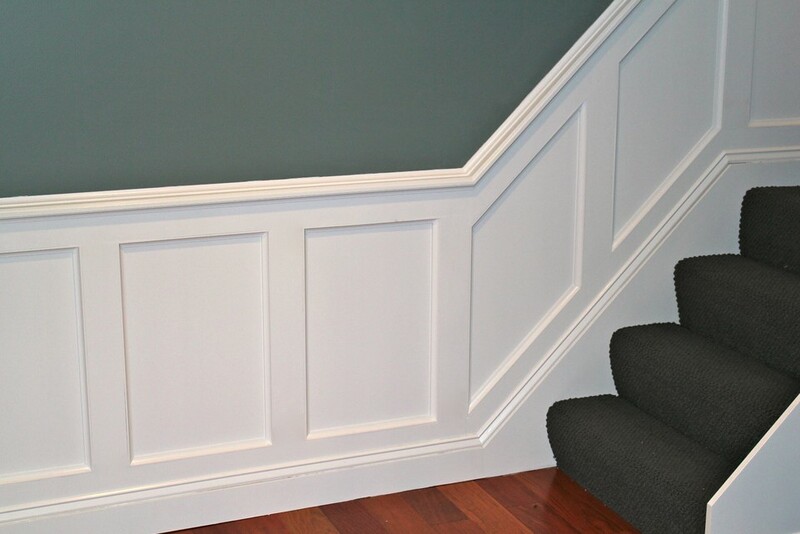 Raised panel wainscoting is easily distinguished from other style of wainscoting by a bevelled edge, created by simple moulding, around a center panel. The design is typically 30 in – 40 in high around the entire room, though it can be taller. The rail at the bottom of the design can either be used as a baseboard or overlaid with additional moulding to create a baseboard. If there is a design or additional paneling within the center panel, the style is instead called overlay wainscoting. Wainscoting was originally and exclusively done in wood. The first wood used was a type of oak called Wainscot Oak. Pine and spruce woods later became popular choices for wainscoting due to availability. Today, all sorts of woods are used for wainscoting depending on the climate and desired color. 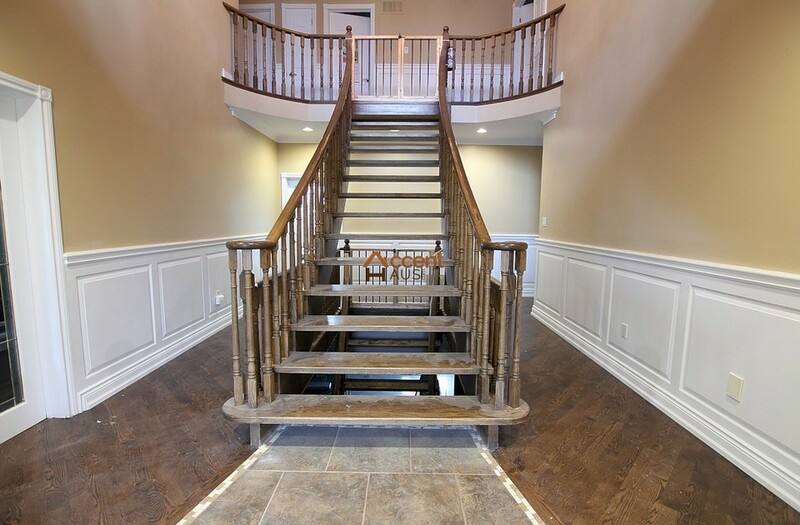 Using wood for wainscoting gives a timeless, sophisticated feel to any room it’s installed in. When choosing a type of wood for wainscoting, the first thing to keep in mind is how the wood will react to your climate. A wood that is not right for a particular climate will cause problems down the road. The best part of using wood for wainscoting is its versatility. Wood can be stained, painted, and cut to suit whatever style is needed. However, keep in mind that some woods to not readily accept stains. Some woods can also be stained to look similar to others. Oak is the classic wood to use in wainscoting. Original wainscoting was done with a type of oak called Wainscot, where wainscoting got its name. Oak is a hardwood with a golden hue. Stains and finishes can be used to change the color of the wood or enhance its natural color. 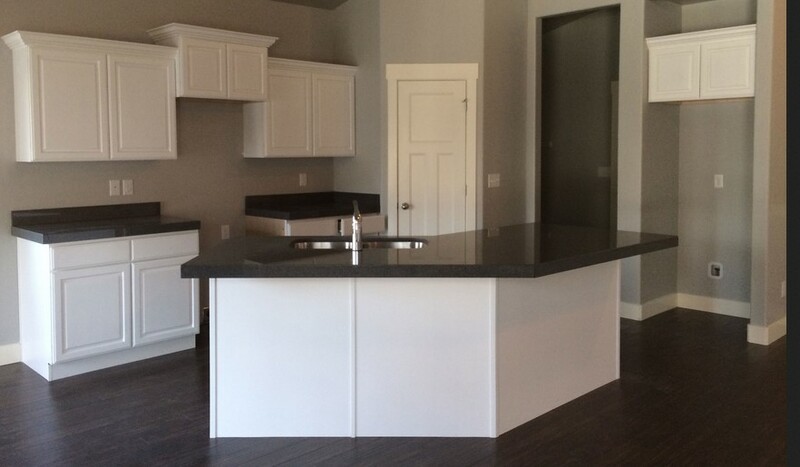 Usually, oak is finished a slightly darker color than it appears naturally. It can, however, be stained in a variety of colors to match any design. Oak comes in 4 x 8 plywood sheets that can be cut down according to the desired design. The type of panels used depends on the wainscoting design style. Pre-cut panels and wainscoting kits are available, though more expensive than designing the panels independently. Vinyl wainscoting is a relatively new alternative to traditional wood wainscoting. This could make vinyl panels more expensive than wood as it might be hard to find. The material is water resistant, easy to clean, and highly durable. It’s perfect for bathrooms and kitchens as isn’t susceptible to mold and mildew. Of course, vinyl wainscoting can be installed anywhere and look right at home. Vinyl wainscoting comes pre-finished, usually in white, but can be painted to easily fit with the style of any room it’s installed in. Vinyl wainscoting panels come in a variety of easy to install sizes and styles. There are even reversible panels available, to easily fit the style desired. Cleaning and maintaining vinyl wainscoting is easy. Simple dusting and wiping will keep the vinyl panels looking as good as new. Households with actively messy children will find vinyl wainscoting a nice alternative to wood. The panels hold up to repeated cleaning and won’t discolour. First and foremost, plastic wainscoting is not the same as vinyl wainscoting. They are incredibly similar, but not completely. Plastic wainscoting is harder and less flexible than vinyl wainscoting. Both feature the same sort of durability and water resistance. Both are extremely inhospitable to mold and mildew growth. Neither plastic nor vinyl wainscoting will warp and rot like wood will. Plastic wainscoting panels usually come in beadboard style. It features a traditional tongue and groove system for installation, aided by adhesive and nails where necessary. Plastic wainscoting can be painted with no primer, but only with oil-based paints. Another plus with plastic wainscoting is that is can be made to look like wood. The difference is barely noticeable when looking at it. Plastic wainscoting is ideal for bathrooms, mudrooms, playrooms, laundry rooms, kitchens, and porches. Plastic wainscoting is just as easy to clean as vinyl. Regularly dust and wipe clean with a damp cloth to keep it looking fresh. Technically, any wainscoting panels that aren’t comprised of wood could be said to be faux wainscoting. For most people though, faux wainscoting is completely dispensing with premade panels and covering the wall at all. Most faux wainscoting panels are made using wood moulding or trim to create a raised panel wainscoting look. First, plan where the wainscoting will be. Figure out at what height the chair or plate rail will be placed. Install a piece of moulding there before planning the rest. Next figure out where the moulding boxes will be placed. They can be any size so long as they fit evenly between the chair rail and baseboard. Install thinner pieces of moulding or trim to form the boxes. Caulk around the edges of the moulding before priming. Finally, paint the faux wainscoting as desired. The color can be uniform all the way along the wall or the trim can be a different color than the wall. 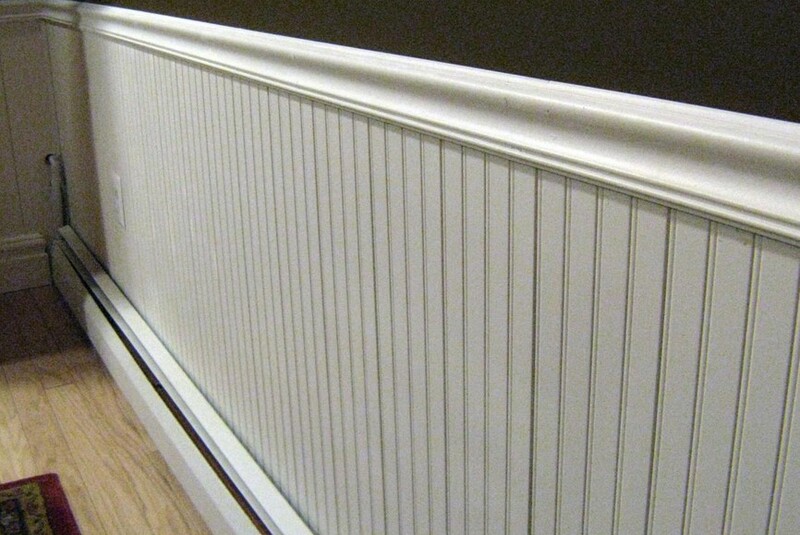 Wainscoting is the treatment of area wall surfaces with vertical tongue and also groove slats. The idea is to safeguard walls from rising moist as well as to protect them from damage brought on by chairs as well as furniture. It is an ornamental feature that is underused in modern-day residences, however is picking up. 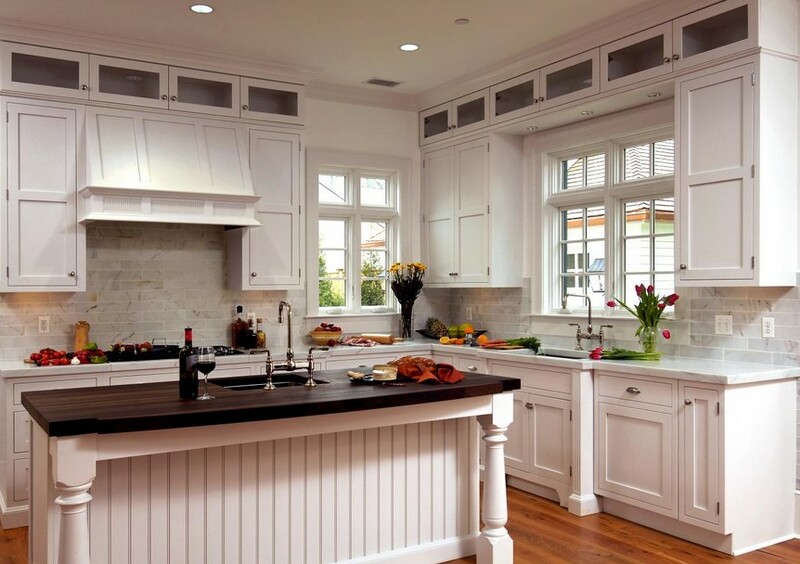 In kitchens, wainscoting can add an especially homely and cosy feeling, especially with the ideal paint and also colors. There are a variety of methods to obtain creative with paint and also your wainscoting.